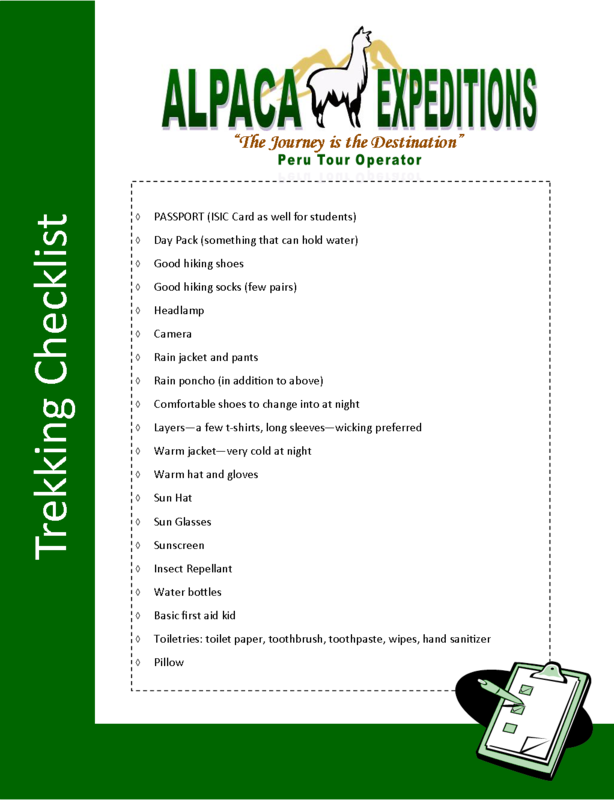 We know packing for traveling to Machu Picchu can be daunting. Many of you have asked if we have a checklist of important items to bring with you – so we finally created a printable Checklist for you to use as a guide. Let us know if you see anything missing and we will add it so as to aid future travelers!. If you bring all of this, then you will be totally prepared for your trip within Peru. We at Alpaca Expeditions are proud to be able to guide you deftly through the entire process, from beginning to end, as a result of our many years of experience! Allow us to help you and you will experience Peru as you only can with our talented guides and staff members.